I continue to cannibalize content by pulling together my "RPGaDay" answers. You can see Part One, Part Two, and Part Three here. With this we have finished. Day 24 Alt Question What gives an RPG its ‘replay value’? Here I’m reading “replay” as: I’m willing to play another session. If I’m going to come back to an rpg, I want continuity. Usually we have three kinds of continuity in an campaign: story, setting, and characters. These threads connect the sessions. You don’t necessarily need all of them. I can imagine thematically linked games which only tell a story. They might explore the same idea over multiple iterations of place and characters. In some ways that’s the least important to me. Sure I want to finish and find out what happens, and I want to build on previous events and choices. But I’m more focused on continuity of character. I like to see my characters encounter new events and make those interesting choices. I like to see them grow—narratively and mechanically. 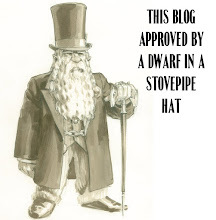 It’s part of why I love GMing so much—I have access to all the characters PCs and NPCs. I get to see their story. I want to like those characters and experience joy, suffering, triumph, and more along with them. That’s part of why I’ve always been less into rpgs that foreground the setting. In these games the set-up-- the dungeon, the adventure, the puzzles-- they’re the focus. The characters not so much. Characters can come and go without any real impact beyond logistics. Facts of a characters identity—origin, race, appearance, attitude—don’t matter outside the mechanical frame. If your character dies, you just roll up another one. Death is cheap here. It always happens; that high rate is a feature not a bug. That’s the extreme version. I think most games find a middle space. Don’t get me wrong, I love a good setting—well described, cleverly thought out, evocative in detail. These have details and places you can interact with. But game isn’t going to pull me back unless it combines that with characters who matter. They might not always win, they might die, the might pay high costs…but I know their names and I know that who they are matters in the game. Day 25 What is the best way to thank your GM? What makes me feel good, actually feel the best, are the little things: groans when I say "OK, let's stop here," players excited to do leveling up, when they remember obscure NPC names because they want to talk to them again, objecting when I say we're probably getting close to the end of the campaign, responding openly with feedback when I ask for it (because that shows they trust me a little), and all the times they say "I was thinking about my character and...". Day 26 Which RPG provides the most useful resources? For me the short answer is Microscope. That’s provided a tool I’ve gone back to again and again. It’s helped build many campaigns and offers a useful structure for any kind of collaborative rpg process. 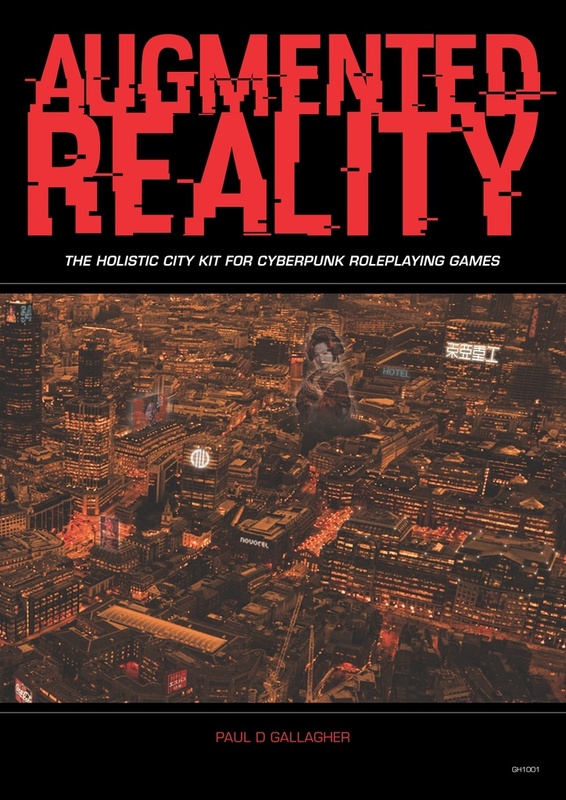 But I’ve also run several different cyberpunk rpgs in the last few months: Shadowrun Anarchy, Kuro, Neo Shinobi Vendetta, The Sprawl, The Veil. And every time I go back to Augmented Reality. It’s a set of random tables for cyberpunk settings, apparently inspired by Vornhiem (something I think I glanced at once). The tables are smart and useful: sensory data (sights, smells, etc), businesses, environmental factors, people, patrons, “loot,” and so on. I use them to generate short tables and lists for inspiration during play. I’ve used the “jobs” ideas to come up with plot threads to drop on the table. The materials don’t necessarily work with every cyberpunk setting, but you can easily modify them on the fly. You can easily adapt this for other sci-fi games, especially grungy ones like Rogue Trader or Fading Suns. I’ve also used certain tables as inspiration for Blades in the Dark. I’m thinking out retooling several of them for just that purpose. A larger set of environmental tables for Duskvol would complement the material in the GM chapters of BitD. I’ve bought the pdf and two copies of the physical version. 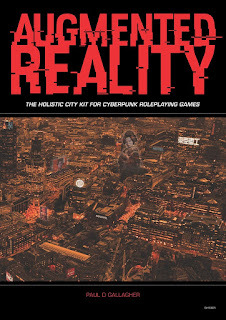 I gave one away to my nephew who wants to run cyberpunk. I try to say this sparingly, but if you’re running games in this genre—you need to pick this up. The pdf is PWYW right now (and probably could have been an answer to earlier question about which publisher need to charge more). Day 27 What are my essential tools for good gaming? My fallback game prep sheets: Triad Sheets, 3 Things, Fate Scenario, and/or Ashen Stars Problem sheets. Day 28 What film/series is the biggest source of quotes in your group? I have to take a kind of mulligan on this question. Our f2f groups have been playing together for a long time. The oldest player I've played regularly with since 1990. We've played many, many campaigns. Most folks in the group have been with us 10-15 years. So the when we quote, we most often quote old games and incidents. It's fun shared language, but has the disadvantage of excluding new players. 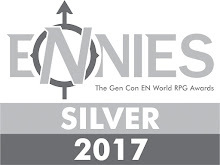 Day 29 What has been the best-run RPG Kickstarter you have backed? I've had generally good results with Kickstarters. I've gotten stuck with a couple I'm pretty sure will never fulfill. Oddly they’re both done by people I've met (and one by someone I played and worked with extensively). I'm a little more cautious now. I have at least one KS that hasn't yet fulfilled, but their set up work was pretty awesome: City of Mist. They did a great job selling their product, adding options, and getting the word out there. The amazing and polished quickstart they released demonstrated their professionalism. It also showed how far along they were in the process. But I haven't yet seen the final release. So I have to go with Tales from the Loop. Great presentation, catchy graphics for the site, a clear statement of purpose. They had some stretch goals and add-ons, but they kept those tight. They promised a fast turn-around and they delivered. The end product came out awesome. Publisher Fria Ligen learned lessons from their previous Kickstarters. They didn't have the problems of ink-stink that plagued Coriolis. And they haven't had the pdf problems that still affect Coriolis (they promised DTRPG links but two months later haven't delivered. They're blaming Modiphius for the problem). But overall I've been happy with the work they've done and the speed they've done it with. Day 30 What is an RPG genre-mashup you would most like to see? "Legend of the Fading Suns"
Fading Suns pitches itself as a sci-fi game with a fantasy rpg model. It resembles Dungeons & Dragons in space- with a thrown together adventuring party. But in some ways it's closer to the grittiness of Warhammer Fantasy Roleplay. FS suggests a vast wilderness to explore, curtailed by the nature of the jump gates. It pushes towards a party pulling in different directions- in Fading Suns the various “races” have widely differing agendas. Having an FS “Cleric” and a “Magic-User” together will probably lead to immediate strife. Fading Suns presents a rich back story full of conflict and detail, but you have to either ignore or leave as a looming intra-group for the game. *Sci-fi with a fantasy element- swords and the pseudo medieval pageantry. *Noble houses each with a different character. *Psychic powers with interesting flavor to that. Some powers corrupt. The Church’s has gifts, but it’s ambiguous if they should be seen as psychic. *Decadent and strange relic technology. High technology is dangerous but less sophisticated technology remains viable. *Aliens present, but not central to the story. *The possibility for social conflict, power struggles, and diplomatic and courtly activities. *Monolithic presentation of the Noble Houses. Even when you get some drill down in the secondary materials, those rarely do much to change or develop the initial stereotypes. *The Church can be truly awful in places- very nasty and dark. It almost creates an alignment problem for a group which includes Church archetypes. *Some of the aliens seem goofy- like the Vorox and some presented from the Player’s Companion. *Ship combat’s clunky and weird. *Psychics get the short end of the stick. But here's the big thing for me: the nobility lack a kind of central ethos- a reason for being and a way of behaving that directs players. So your central driving forces are either completely personal or the reactionary church. I want a Fading Suns game that patches in Legend of the Five Rings/Blood and Honor's approach to family and clans. First, you'd have a code, a set of ideals nobles and others measure themselves against. Virtues that can be called out. Noble families would have differing emphases on and interpretations of these elements. They could see one as vital above the others and possibly another as not really important. That's the way the Clans are in Legend of the Five Rings. It gives you a good hook for each of them. 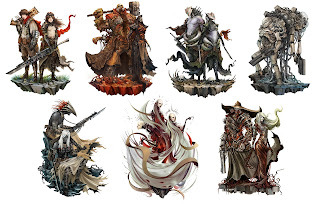 At the same time, in L5R each Clan has sub-families representing different aspects. It creates internal tension within them. Second, you'd refocus on a building game. Blood & Honor lets you create a Clan, you could do that with FS. The characters would come from the same family that they would create at the start, but they'd had different connections and backgrounds. Nobility represents a general background rather than determining anything about role or class. Players can still play rogues, engineers, psykers, priests ,etc. But those function within the context of the House and Family. They're a group "adventuring" but a higher interest. The Church and the Guilds would be a parallel family. Third, we'd have a building game element. The rules would include tech and tracking for building up your family's interests. I don't know if that would be a specific as particular "seasonal" building projects or more general like adding resources & pull. For the former you could steal the settlement mechanics from MYZ and the province stuff from Blood & Honor. Anyway, I've gone on way to long on this. It's a concept I've thought about before and kind of a white whale for me. I don't know if jamming these conceptual rpg elements together makes them stronger or washes them out. Day 31 What do you anticipate most for gaming in 2018? 2. 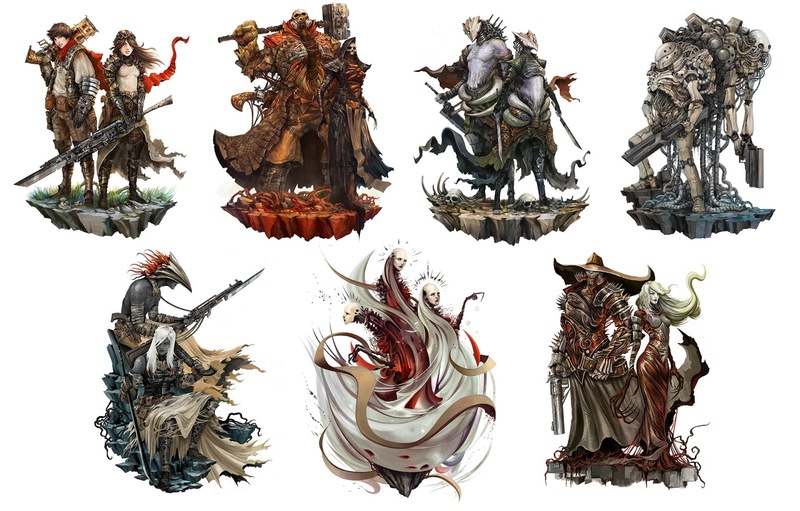 I have several massively overdue rpg Kickstarters. Several of them I don't think we'll ever see. But a late one I'm sure we'll finally get in 2018 is 13th Age Glorantha. I have group who has played in that setting primed & ready for when that arrives. I'm also hopeful about Scion 2e, Mutant: Mechatron, and Shinobigami. 3. But I'm most excited about running more games online for The Gauntlet. At this point I've run a full year with them and its been the best online gaming I've done. Great group, solid structure, and a chance to try out interesting things. My online Wednesday group is wrapping soon, so I'm going to shift over to offering Gauntlet games on that evening as well. I'll add that to my Thursday evening and Sunday morning offerings. I have some plans for the new year. I want to run a game where players can more easily drop in & out should they want to. 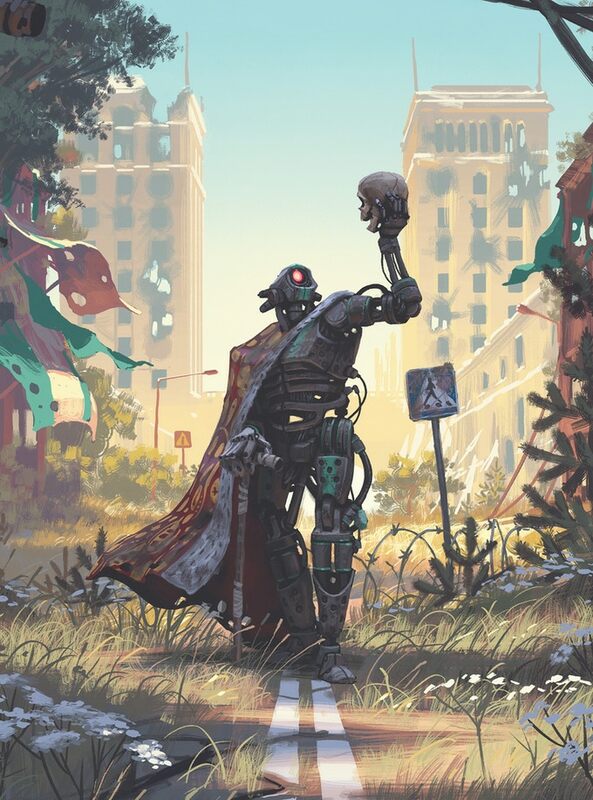 To do that I'm going to run an ongoing Mutant: Year Zero campaign through the 1st Quarter 2018. Their Ark will remain continuous and grow, but players can come in for one session, a few sessions, or all of them. If that works, I might try one of the other Mutant games for Q2 (Genlab Alpha or Mechatron). I still want to try out new and hot games, especially those with quickstarts. Star Trek and Mutant Crawl Classics are on my short list. I also want to make sure I run at least one Fate session each month, to showcase all the different things you can do with that. Finally I also want to run PbtA of some kind on a monthly basis. I have several of these I want to try my hand at running: Epyllion, Green Law of Varkith for DW, Urban Shadows, Masks, and more. So, more games, more games.